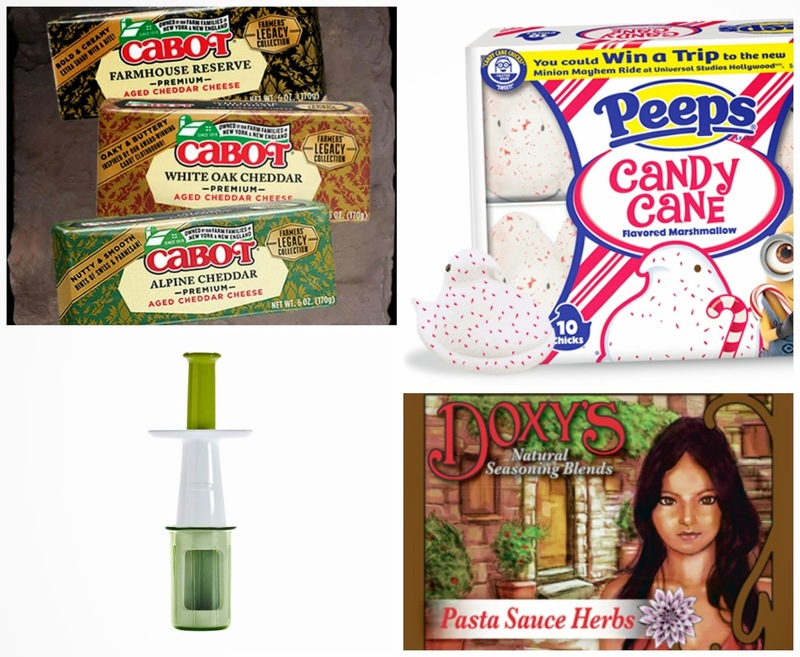 The Weekend Gourmet: Last-Minute Stocking Stuffer and Hostess Gift Ideas for Food Lovers! Last-Minute Stocking Stuffer and Hostess Gift Ideas for Food Lovers! Christmas is just around the corner...and perhaps you're feeling frazzled trying to figure out last-minute stocking stuffer or hostess gift ideas for the food lovers in your life? No worries...The Weekend Gourmet to the rescue!!! I'm going to share a handful of my favorite last-minute gift ideas with you today...and the best part is that many of them are easy on the wallet too! 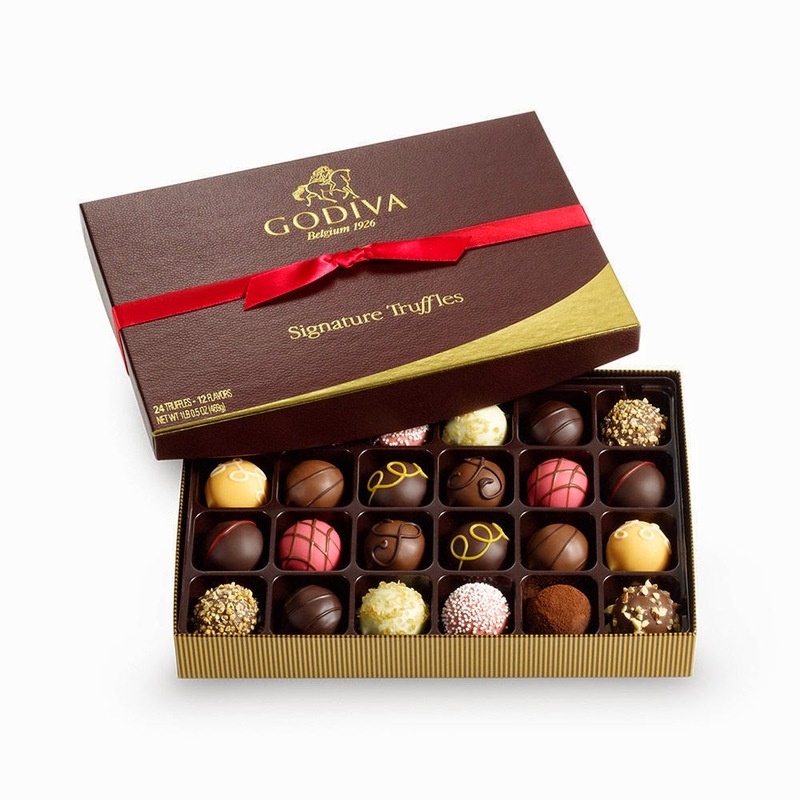 (1) Godiva Chocolate's Holiday Collection. 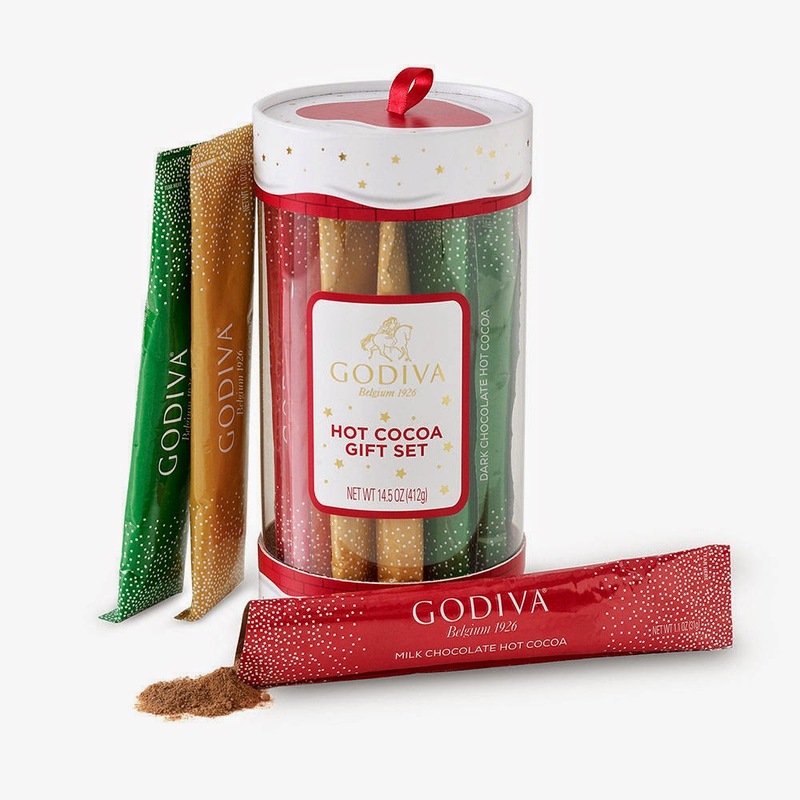 Godiva's 2014 holiday collection has something for everyone...and the items come in a wide range of prices. Godiva has some amazing gift ideas for the chocoholics on your list -- whether you're looking for truffles, gourmet chocolates, or other chocolate delights! Their holiday collection has tons of great items to choose from...but my two favorite items are their Hot Cocoa Gift Set and the 24-Piece Signature Truffle Gift Box -- Holiday Edition. The hot cocoa set features a trio of cocoa flavors in convenient single-serving pouches: milk, dark, and caramel. The decadent truffle collection features a broad range of delicious flavors...my personal favorites are the Crunchy Hazelnut and Strawberry Tarte. (2) Chandon Délice Sparkling Wine. Since New Year's Eve is also coming up later this month, a bottle of bubbly champagne or sparkling wine is the perfect Christmas gift for the wine lovers in your life! Chandon's Délice is a delicious and versatile sparkling wine that's my pick for this holiday season. Délice is perfect for pairing with spicy foods (think Cajun and Mexican), creamy cheeses --- and rich desserts like creme brulee. Délice is a moderately priced fruity sparkling wine made from both Pinot Noir and Pinot Meunier grapes. I especially love to serve this semi-sweet sparkling wine icy cold, with a bit of raspberry liqueur mixed in. Just before serving, I like to add a couple of frozen raspberries to float in each flute. Talk about easy sophistication to ring in the new year! (3) Sur la Table Cooking Class. 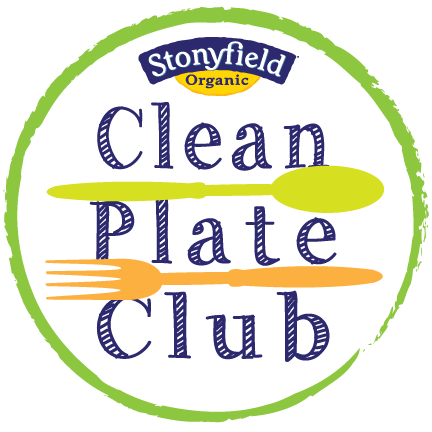 Whether you're shopping for someone who's an experienced cook...or someone who aspires to feel more comfortable in the kitchen...a cooking class is an excellent holiday gift! 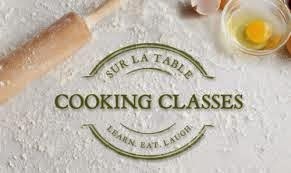 Sur la Table offers a wide range of classes that fit all skill levels and taste buds. The fun, interactive classes last about 2 hours and are taught by experienced chefs. Even better? You get to taste the dishes both during and after the class. 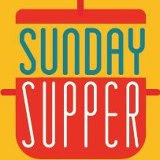 They even offer Kids & Teens Holiday Cooking Camps, as well as a Date Night classes for couples! The easiest way to gift one of their cooking classes is to purchase a gift card for the amount of the class...then attach it with ribbon to one of Sur la Table's fun kitchen gadgets for a cute presentation! (4) Budget-Friendly Treats and Gadgets. Proving you don't have to spend a fortune to give a thoughtful hostess gift or stocking stuffer, here's some ideas for presents that cost $10 (or less!!) and will bring a huge smile to any foodie's face! Cabot's Farmers Legacy line of premium cheddar combines Cabot quality and rich flavors. Pair a block of this cheese in a gift bag or basket with a box of gourmet crackers, and you have a gift any cheese lover will cherish! For the "kid at heart" on your list, pick up a package of fun Peeps candy cane flavored marshmallows! These Peeps chicks float perfectly in a mug of cocoa, so pair a package of them with a few packets of gourmet cocoa for an inexpensive, fun gift. OXO's handy Grape & Tomato Cutter is a lifesaver for busy cooks -- it allows them to quickly and easily quarter grapes, small tomatoes, and pitted olives for recipes. Great for making salads and other dishes, it's so much easier than using a knife to cut these smaller items. Simply drop the item into the slot and push down on the plunger, directly into the bowl...GENIUS! Finally...for the spice lover, Doxy's Pasta Sauce Herbs is a thoughtful Simply add tomatoes, chopped onion, and water to this perfect combination of non-GMO dried herbs and garlic to make a perfect pot of homemade marinara sauce. To round out this gift, add a box of gourmet pasta and a loaf of bakery French bread! 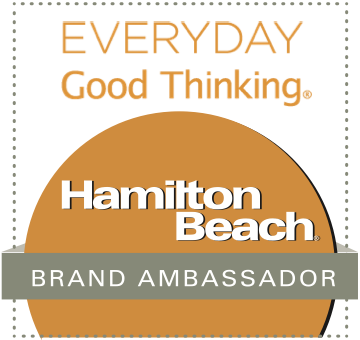 Disclosure: The makers of these products provided me with samples of their products to facilitate inclusion. 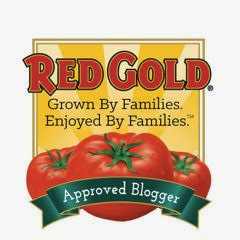 I have personally tried them, and I only recommend products to my readers that I love myself!